Christians are motivated by their love for Jesus and others to go into very dangerous places in order to help people. One such woman was Gayle Williams. Gayle was a physical therapist who went to Kabul, Afghanistan to work with children who were injured by landmines in the recent Middle East war. Gayle had been working in Kandahar, but the threats of death and kidnapping were so great that she went to Kabul where it was supposed to be safer. On her way to her office two men on motorcycles rode up to her and shot her. She died almost immediately according to witnesses. Gayle had been serving a people that she loved. She believed God called her to Afghanistan to work among the marginalized, especially children, who had been injured in the Middle Eastern war. She gave her life to the disadvantaged and forgotten, helping them to get their lives back on track after the war. Gayle was an unpaid volunteer working with the SERVE Afghanistan organization for about two and a half years. She wanted to raise awareness of disabilities in Afghanistan and as a physical therapist she was trying to work with people in their homes. She was passionate about her work and everyone who knew her described her as a lovely girl. Gayle had dual British and South African citizenship. She was brought up in South Africa but spent some years in Britain. Gayle spoke the local languages in Afghanistan, Pashtu and Dari. The SERVE organization sent Gayle to Kabul from Kandahar believing that it would be safer. In fact, the Taliban had been stepping up the killings of relief workers, especially Christians. Three other female Christian relief workers were ambushed and killed in August of that year. 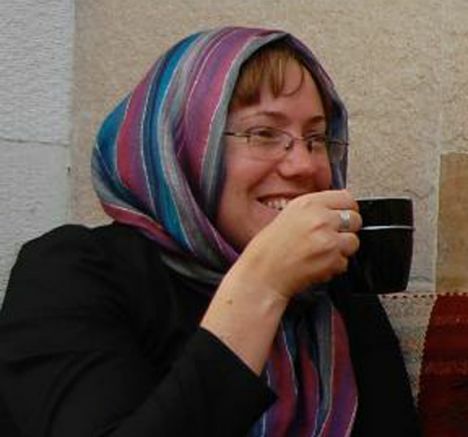 The Taliban claimed responsibility for the killing, saying that its leaders ordered Miss Williams’ assassination because she was “spreading Christianity”. The director of SERVE Afghanistan said that it was only a convenient excuse for a “completely opportunistic” killing. The Muslims were resentful of Christian organizations that were working in their country. The director of SERVE also said that Gayle was not proselytizing. She was sharing the Gospel by loving others the way Christ would – working among the poor and disadvantaged. Why would anyone go to such a dangerous place? The volunteers at SERVE could not turn down the pleas of the Afghan people for help. They knew that it was dangerous but the call of God on their lives to serve these poor people in the name of Jesus was very great. They went willingly, knowing the risks. How do we understand why the militant Muslims would kill kind people who only came to their country to help the disabled and injured? Islam is an evil religion. It is not just a religion; it is a Muslim’s total way of life including their government. In most Islamic countries it is against the law to be anything else. All other faiths are persecuted. Many people think that Muslims are peaceful. Maybe the ones who have escaped their oppressive countries and come to the freedom of the United States are peaceful. But in the main, the Muslim world is an evil, oppressive world. Please get a copy of the Koran and read all of the places where Muhammad tells his followers to kill infidels. For Muslims there is only “them” – infidels, and “us” – the followers of Allah. Allah is NOT the God of the Bible by the way. Allah is hateful, vengeful, autocratic, and a persecutor of women and children. The Muslim religion is nothing like Christianity or Judaism. So Muslim people need to hear the Gospel very much. They need to hear the good news of forgiveness of sins and life in Jesus Christ. They need to come out of their dark religion into the light of Christianity. First of all we can pray. Muslims are lost just like anyone else who denies the Lord Jesus Christ. We must witness to the truth to all of the Muslims. Our missionaries need our prayer support very badly; they are going into some of the darkest places on earth spiritually. The persecutions and killings of Christian aid workers has gone unanswered by our government. Loving, compassionate Christians who go to Muslim countries are risking all for the Gospel. Secondly, we need to educate ourselves as to the truth of Islam. It really is an evil religion and it has an evil founder, Muhammad. What kind of a ruler are the Muslim people following? Like all false prophets, Muhammad was full of conceit. Muhammad called his followers to wage war on all those who are not Muslims. In the Koran is this verse, “Let those who would exchange the life of this world for the hereafter, fight for the cause of Allah.” If a Muslim wants to go to paradise “jihad is the only way to guarantee their entry to paradise in the hereafter.” No, the Muslim religion is NOT a peaceful religion. Islam differs from other religions in that it not only threatens hell for nonbelievers; it also threatens death. People blindly follow Muhammad’s teachings because they fear the feeling of sword at their throat. This great fear keeps people in subservience to their leaders. Islam is against freedom for everyone except the leaders. True freedom is found only in Jesus Christ. Gayle Williams was willing to risk her life to share this freedom with others. Her colleagues praised her saying, “Gayle never spoke of the rigours and privations of aid work in Kandahar, one of the most difficult places for a young woman to work in the world, but she kept a smile on her face and always had a good-humored chuckle at the difficulties she must have endured. Gayle will be remembered as one of the inspiring people of the world who truly put others before herself.” Gayle was a true follower of Christ. Gayle is in Heaven now with the Savior that she was privileged to serve. She joins other Christian aid workers, including Cheryl Beckett who was murdered along with nine other aid workers only a few weeks later. Cheryl’s story will be told in next week’s post. For the last seven months I have been telling the stories of women in the New Testament. From January 2014, through early May 2014 I posted stories of women who encountered Jesus. From May until Mid-July we encountered the stories of the women who are in the Book of Acts. The last few weeks we studied about many women who worked in the early Church, many of whom are commended personally by the apostle Paul in his epistles. There are far more women in the Bible than most people realize. I only covered most of the women in the New Testament. Many more stories could be told of all of the women in the Old Testament as well. I would like to recommend some great books that actually cover all of the women named in the Bible. Each of these is written with a different style and focus, but they definitely convey the idea that God has used women in His kingdom since Eve was created. The Gospels, the book of Acts, and Paul’s epistles are the primary sources for the information in my blog posts. The following books contain the historical details and other research that I relied on for the stories I posted. I used some details from each book, but all of the books taken together contain so much more in them about the women in the Bible. The presentation of the stories of the women in the Old Testament, which I did not cover, will open your eyes to so much that God was doing that we don’t hear in our churches. You will be amazed and encouraged! — Deen, Edith, All of the Women of the Bible, (Harper & Row Publishers, New York, 1955). This book is divided into three sections, making it very helpful to read entire stories of named women in the Bible, or just look them up for quick reference. In Part 1, “Searching Studies of Women in he Foreground”, Edith Deen begins with Eve and continues through the Old Testament covering all of the major figures, Eve, Sarah, Ruth, and many more. She covers the stories of many women you may never have heard of but they were very important – for example, Huldah the prophetess. She continues through the New Testament with stories about women who met Jesus, women in the early Church and she again includes many little known women. Edith is an excellent storyteller and you will feel like you can put yourself in the picture with the women whose stories she is recreating. She includes enough background material so that you can really understand what it was like to be a woman living in the ancient cultures and times. Part 2 is an alphabetical listing of all of the named women. There is only a sentence or two about some women, but there are several paragraphs about major figures in the Bible. This gives you a helpful short synopsis of the story. Listed also is the place to turn to in Part 1 for stories of the major women. Part 3 is a chronological listing of all of the hundreds of unnamed women who are in the background in the Bible. There are forty references to “daughters” for example. Wives, mothers, widows and other unnamed women are all included. These women were important enough to God to put into His Word and they are important for us to study. Their lives have much to tell us. Edith Deen’s work is a great reference book and a joy to read as a storybook. 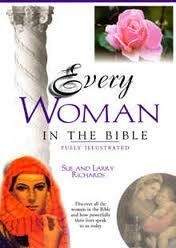 — Richards, Sue and Lawrence, Every Woman in the Bible, Fully Illustrated, (Thomas Nelson Publishers, Nashville, Tennessee, 1999). Larry and Sue Richards do a great job of helping us understand what life was like for all of the women in the Bible. This book contains many charts, maps and other illustrations that help the reader to get a better picture of life in Bible times. The book is basically chronological. Each section contains an overview of a particular time period and then covers the women in that period. For example, chapter 11 covers the Gospel period. The Richards’ explain what life was like in Jesus’ day. They cover cultural aspects, geography, and much more. Then they tell the stories of the women in that time period. The Richards’ have an alphabetical listing of the named women in the Bible. They also have a very helpful expository index where you can look up a woman by topic. Sue and Larry Richards are well-known Bible study teachers and scholars. I think you will appreciate the research and information in this book. — Richards, Sue and Lawrence, Women of the Bible: The Life and Times of Every Woman in the Bible, (Thomas Nelson Publishers, Nashville, Tennessee, 2003)). This second book by Sue and Larry Richards contains much of the same information as the previous book, but it is arranged differently. Part 1 contains all of the women of the Bible arranged alphabetically. 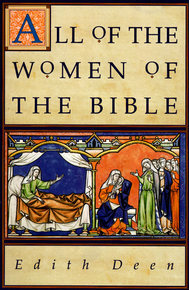 For those who want an excellent book on Bible women with short stories and background information, this is the one. Of course, some of the stories are shorter or longer than others depending on how much information is in the Bible. Each story contains, first of all, the Scripture references. The time period of the story is listed. Very helpful is the correct pronunciation of the name. The historical significance of the women is often given as well. Following this is the woman’s role in Scripture. The other people in the story are examined. For example, to know more about Ruth it is helpful to know something about Naomi and Boaz. Each story ends with a “close-up” and a summary of how we can relate to this woman today. This part of each story would be an excellent start for a Bible study on the women in the Bible. There is a “quick reference” guide to all of the women who are named. At the end of the book is an expository index and a Scripture index. This book is very interesting to read. I highly recommend it. — Tucker, Ruth, Dynamic Women of the Bible: What We Can Learn From Their Surprising Stories, (Baker Books, Grand Rapids, 2014). Ruth Tucker is a well-known scholar and teacher. She has published many books on Church History. She is recognized as a foremost authority on women in the Bible and in Church history. In this, her latest book, Ruth covers the stories of over fifty incredible women in the Bible. She has arranged the stories in a very thought provoking way. For example she pairs Deborah and Jael so the reader can get the full story of these incredibly courageous women. With sidebars full of interesting background material, and study questions at the end, this book has a wealth of scholarly material and would be a top choice for a serious Bible study. Be warned however: some of the women in the Bible are controversial in churches today. Be ready to have some of your preconceived notions challenged. Ruth makes these women into real, flesh and blood, full dimensional characters. If you have read my blog posts on Phoebe and Junias for example, you will know that women did many more things for the Kingdom of God than what the ordinary fundamentalist church may have taught you. Ruth Tucker is a great storyteller and you will enjoy this book very much while you are learning a great deal about the incredible women in God’s Word. Over the last few weeks we have looked at the stories of the women who served in the early Church. I purposely saved Junias (Junia in some translations) for the last post on women who were commended by Paul. The apostle Paul refers to Junias as an “apostle”. This is a high honor for a man or a woman. Why did Paul refer to Junias as an apostle? In his epistle to the Romans Paul sends affectionate greetings to men and women. These believers all labored with him in the preaching and teaching of the Gospel. One couple is singled out for special mention – Andronicus and Junias, Paul’s “kinsmen and my fellow prisoners, who are outstanding among the apostles, who also were in Christ before me.” (Romans 16:7) These are high praises for Andronicus and Junias. Why do they receive special commendation from the apostle Paul? This passage is troublesome for those who believe that only men should be leaders in the Church. What should they do with Junias, whom Paul said was “outstanding among the apostles”? There has been a tradition in ultra conservative circles that the person mentioned, Junias, could not be a woman because Paul calls her an apostle. Their reasoning goes as follows: “Women cannot be leaders in the church. Therefore the person referred to in Romans 16:7 is a man because women cannot be apostles or leaders.” But this is not letting the text speak for itself. This is bringing a prejudicial viewpoint to the Scriptures. This is letting one’s own bias make the Bible say what he wants it to say, not what the Bible actually says. 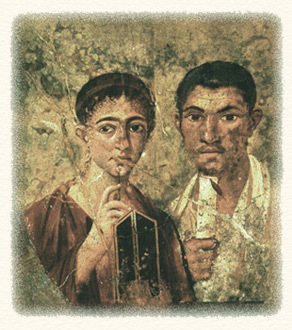 Andronicus and Junias are a couple and are described as Paul’s kinsmen and fellow prisoners. Another reason that some deny that Junias was a woman is that it is unlikely that he would be referring to a woman prisoner. But seriously, who should know better about female prisoners than the apostle Paul himself who imprisoned many female Christians? Paul admitted as much in his testimony before the Jews who had had him arrested when he went to Jerusalem. Paul said, “I persecuted this Way to the death, binding and putting both men and women into prison, as also the high priest and all the Council of the elders can testify” (Acts 22:4,5a). Paul understood about men and women going to prison for the sake of the Lord Jesus Christ. Paul understood that suffering for Christ was not just for men. Martyrdom is an equal opportunity employer. In the New Testament men and women served Christ and men and women paid the price for it. The overly conservative Bible commentators not only violate hermeneutical principles when they insist that Junias is a man, but they also contradict the historical evidence. In ancient times the name, Junias (or Junia) is always referring to a woman. 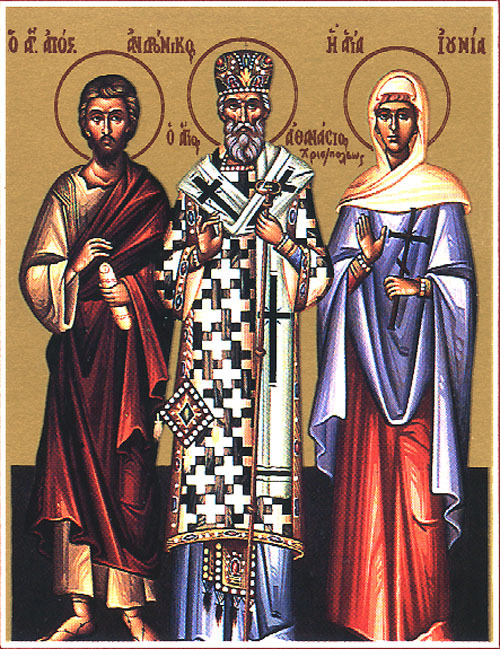 All early Christian sources regard Junia as female, even Jerome (340-420 A.D.) and John Chrysostom (345-407 A.D.). The evidence overwhelmingly points to the fact that Junias was a woman. Really, the issue is – what does it mean to be an apostle? Let’s get specific – Could Junias or any other woman be called an “apostle”? The vast majority of Biblical scholars today concede that Junias was a woman. They point out that there were other husband and wife teams, like Priscilla and Aquila. Since Paul says that they were kinsmen, they may have been sister and brother. But either way they were a man and a woman. Honestly, the difficultly is in the meaning of “apostle”. In the New Testament the word “apostle” is used in several ways. First, there are the original twelve apostles. These are the ones that Jesus chose to follow Him. Judas died. Then Matthias was chosen “and he was added to the eleven apostles” (Acts 1:26). Secondly, Paul uses the term “apostle” about himself as a specially called person by Jesus to go as an emissary to preach the Gospel. God gave Paul the authority as an evangelist and as a preacher and teacher. He was in a unique position as a writer of many books in the New Testament. Thirdly, the term “apostle” was used in a general way to mean a “missionary”. When Paul lists the gifts of the Holy Spirit in I Corinthians 12 and Ephesian 4, apostles are listed among them. Since the point Paul makes is that the Spirit gives many gifts as He wishes to all believers, apostleship is given as a gift to many believers. This includes men and women. Apostleship as a gift ranks highly in God’s church. Perhaps this is because those who have this gift are doing the very important work of taking the Gospel to the lost. They are missionaries. Just as in the case of Phoebe, who was a deacon, it is not the most important thing to know how much authority or leadership was implied in the vocation of “deacon” or “apostle”. The most important thing is that Junias was faithful to her calling. Paul makes it very clear that Junias was “outstanding among the apostles”. Whatever this means, Junias spread the Gospel, Jesus became known as Savior to many, and God was greatly glorified through her ministry. We will meet many in Heaven who will point to Junias as their witness for Christ. We should be encouraged by her example and strive to win others for Christ with the zeal of Junias. This passage, written by the apostle Paul, indicates that there were women involved in many facets of ministry in the early Church. The letter to the Roman Christians was written around 57 AD. Though Paul doesn’t give exact details of the women’s service, we know from the terms that he uses about them that he was receiving substantial assistance from them. The women were of help to Paul in practical ways and it seems that women were also instrumental in spreading the Gospel. Paul referred to his female helpers as “co-workers” or “deacons” or “apostles”. We saw in a post on this blog site two weeks ago that Phoebe was doing the work of a deacon. Many feel that perhaps Dorcas, Euodia, and Syntyche were deacons as well. The plainest translation of the word “deacon” (diakonia in the Greek) is “servant”. All of these women served in the Kingdom of God. These women cared for others in the congregation and in their communities even as deacons do today. One woman in the book of Romans is referred to as “apostle” – that is Junias, the wife of Andronicus. This term is the most hotly debated in the Church today. Poor Junias has been the subject of much discussion – heated, indifferent, or otherwise. We will save Junias for another posting next week. Paul uses the term “co-worker” the most often in his letters to the churches to describe the believers who assisted him. These are men and women who aided him in his work. They assisted in many ways. We saw that Phoebe carried this letter to Rome for Paul. Lydia and others managed house churches. Priscilla traveled with Paul and taught others about the faith. There were also local leaders such as Euodia and Syntyche. All of these women were part of the ministry as Paul’s co-workers. In the sixteenth chapter of the book of Romans there are nine women listed – Phoebe, Prisca (Priscilla), Mary, Junias, Tryphaena, Tryphosa, Rufus’ mother, Julia, and Nereus’ sister. We know the most about Priscilla because there are many references to her and her husband Aquila in the book of Acts. We know a few things about Phoebe – for instance that she was from Cenchrea. We know that Paul had been in Cenchrea before this with Priscilla and Aquila. Perhaps that is when he first met Phoebe. We do not know very much about the other women named in Romans. 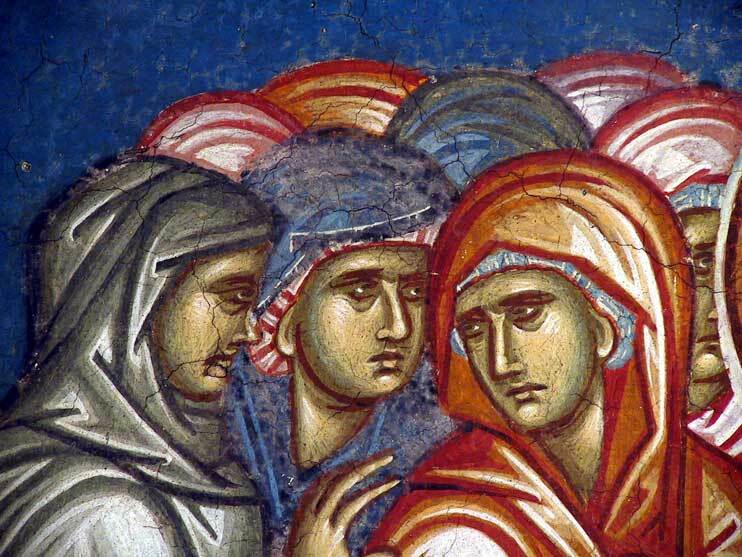 There are still some things that strike us about the mention of these women in Paul’s epistle. Remember this is only 57 AD. Jesus left the earth only about twenty years before this. The Holy Spirit came to be the Helper only about twenty years before this as well. Yet, look at how large some of the churches are. Notice that they are already made up of Jews and Gentiles. Notice that the Christians have been treating each other as brothers and sisters – family – in Christ. The believers learned quickly what life in the New Covenant was to be like. This community of believers is so different from the Jewish or pagan groups. Even more striking might be that the apostle Paul does not hesitate to call all of these men and women “brethren” or “co-workers”. Paul was humble and led those under his care the way Christ would have. Christ said that those who would be greatest should be the least. He admonished the disciples to have a servant’s heart and not be like the Jewish rulers who lorded their leadership over the people. We do not know what types of leadership responsibilities or how far the authority of the female co-workers of Paul went. The main goal of everyone was to spread the Gospel. Every day they encountered people who were dying in their sins. Every day they used whatever gifts the Holy Spirit had given them to take the Gospel to the lost, work in their local churches, and give aid to the poor and destitute like Christ did. There is no “male or female” in privilege of being a Christian (Galatians 3:28). All are called to serve. There must have been many, many women who served in the Church, but Paul mentions a few specially. “Mary, who labored for us” was one such woman. It is interesting that Mary is the only one with a Jewish name. What was her labor for the Lord? We are not told specifically but it is believed by scholars that she was an evangelist. How wonderful that as a Jewess she is worshipping with so many Gentile Christians in Rome. This is more evidence of how early the love of Christ for all the nations began to be felt. Some scholars also believe that Persis was a female. 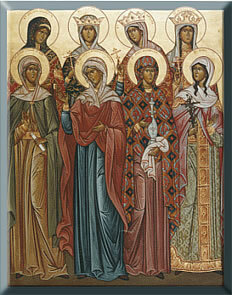 If so, she was also an evangelist and these women used their influence and means to make the Gospel known. When did Paul meet these women? He visited the churches many times. At each church Paul would have met the men and women who worked hard for their fellow believers and for the Lord. All of these godly women used their personal gifts, financial means, and influence to serve the Lord with gladness because they had experienced the joy of salvation. Paul commends them for their dedication and service. These words should be an encouragement to all Christian women today as they labor in whatever calling they received from the Lord.